Welcome to the JVNP 2.0 Update featuring a JV request courtesy of fellow JVNP 2.0 Partner John Assaraf (Neurogym – 6th Annual Live Brain-A-Thon high ticket launch affiliate program JV invite), Buzz Builders, and More … in Today’s train your brain edition. 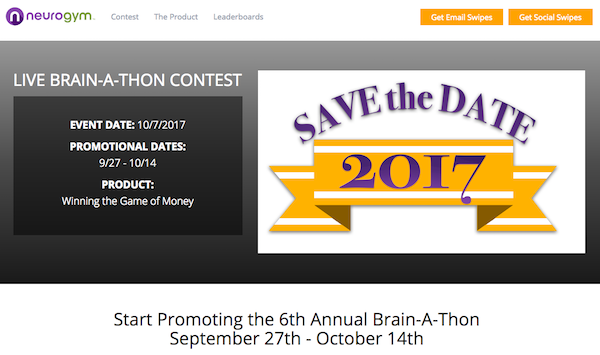 This year, I’d like to send YOU a big check for promoting our 6th Annual Live Brain-A-Thon event. We’re expecting this year to be our biggest and highest earning event yet. On top of the $20.51 average EPO our partners earned, you can also grab some extra cash thanks to our leader board and sales & opt-in contests. Please register as affiliate (if you have not done so, already) if you’re interested in helping us promote this amazing live event. On top of the huge commission you can earn, your list will absolutely love the content our presenters are sharing. We’ve assembled a team of the world’s best brain science and financial experts who are going to share their best strategies and techniques for helping you remove all of the mental and emotional blocks holding you back from achieving financial freedom. Even the people who don’t end up purchasing our $995 Winning The Game Of Money course (40% of which goes to you) rave about how the information in this event changed their lives. We’d love to have you join in the fun. Can we count on you to promote this event? Click here to visit the Affiliate Registration page. Get Ready to Rake in RAPID COMMISSIONS with Our Hot New Offer Going Live AUG 22nd! RPS is the time tested affiliate marketing strategy we’ve been using for years to top leader boards consistently AND make passive income on a daily basis with affiliate ads. 100% Commission on the FE, JV Cash Contest & More … Omar + Melinda Martin – Rapid Profit System Launch Affiliate Program JV page. New High Ticket Physical Product => $398 Per Sale Commission! Easy, Fast Commissions. Biggest Forex Launch of 2017. Vladimir Ribakov’s New $997 physical product – 40% commission. Prelaunch: August 22nd Launch Day: August 29th 2017. Alaziac Trading has a great reputation for making affiliates tons of cash and we’re at it again. Don’t miss out on the Money! Vladimir Ribakov – Forex Scorpio Code JV page. Rare Chance To JV with Mr Product Launch Formula … Himself! 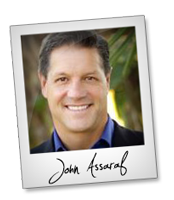 The Man Behind THIRTEEN CONSECUTIVE Seven-Figure PLF Launches! $1,000 Commission Per Sale! Win Your Share of Our 3 Part $100,000 Affiliate Contest! The ONLY “Done For You” eCommerce Storefront w/Hundreds of Products & Already Tied in USA Based Drop Shipping Company! $1,000 Commission Per Sale! Win Your Share of Our 3 Part $100,000 Affiliate Contest! Greg Writer + James J Jones – T-Rex Mega Store JV page. Jamie Lewis, Daven Michaels, Matt Clark + Jason Katzenback and other fellow JVNotifyPro 2.0 partners are waiting in the wings … keep your eyes on your Inbox, and follow the action in the JVNP 2.0 Premium VIP JV Announcement archives.